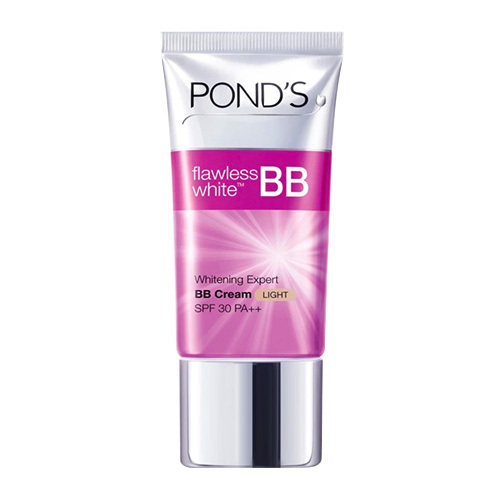 Pond’s Flawless White Whitening Expert BB+ Cream SPF 30 PA++ is make-up and skincare in one. It has SPF 30++ PA to protect skin from harmful UV rays and it instantly conceals dark spots while continuously whitening from within giving you a flawless natural look. How it Works: It increases your skin’s radiance in 7 days with a formula that brightens and clears up your complexion. Created with GenActiv™ technology, this breakthrough formula reaches deep into your skin to regulate and adapt to the DNA that produces melanin– the first ever skin-lightening cream that adapts to your skin! How to Use: After cleansing and day cream application, apply 7 dots of BB+ cream all over your face and neck. Then massage it gently in an upward motion to blend evenly onto skin. It can also work well as a make-up base! FULL SIZE: 8g /25g PRICE: PHP 149.00 / PHP 299.00 AVAILABLE IN: All leading supermarkets, drugstores and department stores nationwide. Also available in Lazada and Zalora online retailers. SOCIAL MEDIA: Facebook: https://www.facebook.com/PondsPhilippines Youtube: http://www.youtube.com/pondsph Twitter: www.twitter.com/PondsPH Instagram: www.instagram.com/pondsph/ Website: www.ponds.com.ph Grab this BB cream now at Sample Room!